DALTON Hotel is a 3 star hotel with a brand new concept that fuses lively entertainment to daily business trips. Work in connection with major transport center, while you can still enliven your senses in entertaining facilities and accommodate quick and cozy stay simultaneously. We understand the needs and desires of modern business man and express travellers. 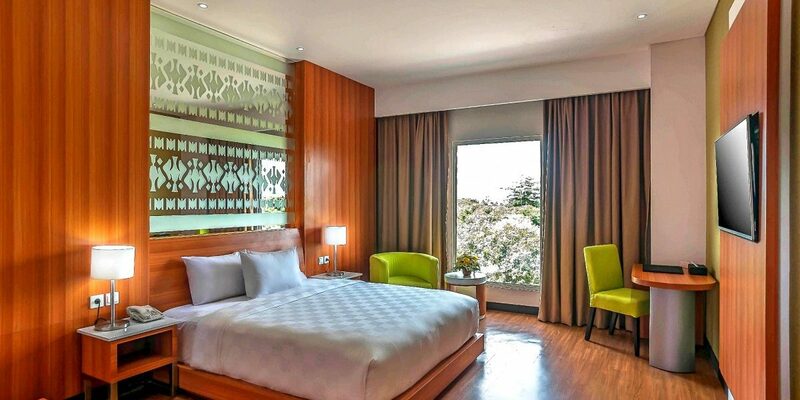 DALTON Hotel is only 15 minutes drive to International Sultan Hasanuddin Aiport. Suitable for MICE with its 12 meeting rooms and 2 Big Ballrooms that can accommodate up to 5,000 persons.
" The True Nature of Hospitality "
Copyright(C) since 2018. All rights reserved.